I finished a bar table for our kitchen today. I found a design for a table made of scaffolding wood. This wood is probably the cheapest that one can get but it is sturdy and it looks nice (at least that’s what I think). The local DIY shop where the wood was bought also cut it at the desired length. Building it was easy. 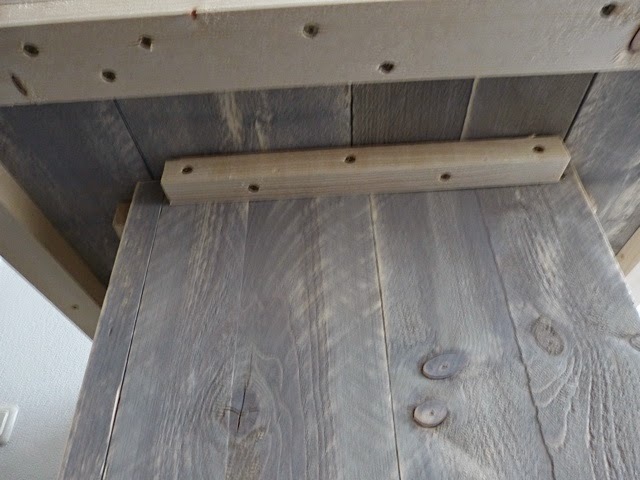 Just build the table top B, by attaching the 62mm stave lath (D) to the table top and attach it to the table leg A with the 30mm width stave (G). The planks of leg (A) were connected with the stave (E). Some of the 195mm wood was slightly curved but the staves straightened it nicely. 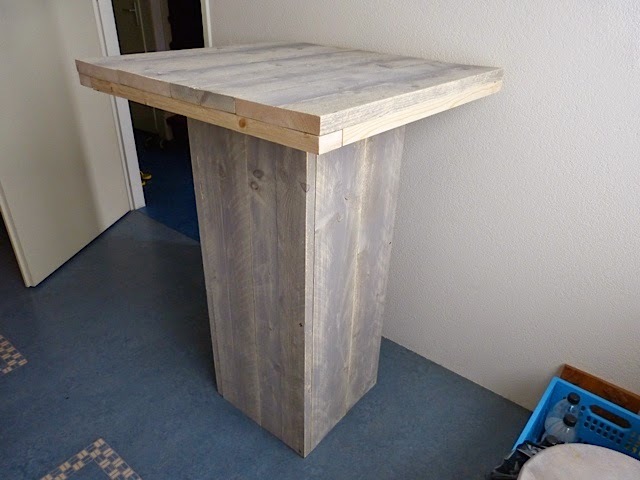 Image of the finished bar table. Image of the table top’s bottom side.